Considered to be the Horse Capital of the World, you will not run out of things to do or places to see that involve horses on your next visit to your favorite bed and breakfast in Lexington, Kentucky! From the Kentucky Horse Park, the Keeneland Horse Farm, Wild Turkey Bourbon Distillery tours to the Mary Todd Lincoln House there is much to do in Lexington! The Kentucky Horse Park features more than 40 different breeds of horses, showcases equestrian presentations including the Kids Barn, the horse track and pony rides, as well as an International Museum of the Horse. 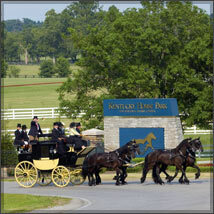 The Kentucky Horse Park offers a gift shop and several restaurants, cafes and bars. During the summer season or March 15th through November 3rd, the Kentucky Horse Park is open daily from 9am to 5pm and during the winter season of November 4th through March 13th; the park is open Wednesday through Sunday from 9am to 5pm. Admission is $16 for Adults ages 12 and over; $8 for children ages 7 to 12 and children ages 6 and under are free. Would you like to visit the Kentucky Horse Park in Lexington, Kentucky? Share with us on Facebook! A visit to Lexington, Kentucky would not be complete without a tour of Keeneland Horse Track. Ranked one of the top tracks in the country, Keeneland features live racing in April and October, but offers tours all year long. Whether it is on a self guided or guided tour, visitors enjoy Keeneland with its beautiful Kentucky bluegrass landscape, paddocks, stables, library and gift shop. 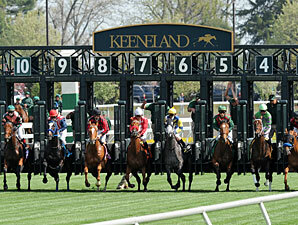 Keeneland is opened daily from 8am to 3pm. 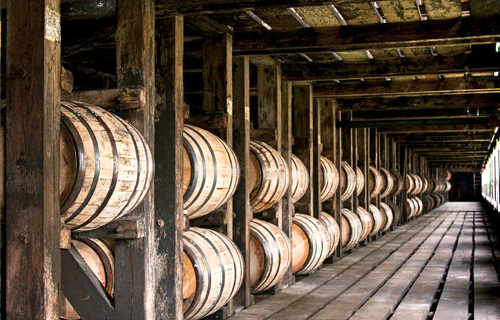 A short drive (about 20 miles) from Lexington is the Wild Turkey Distillery in Lawrenceburg, Kentucky. Although Wild Turkey is not the oldest Bourbon from Kentucky ("the Bird" was born in 1952); it promises to deliver a quality drink that rivals even the oldest of Bourbon Whiskeys. The distillery has been producing bourdons since the mid 1800s and visitors will get an up close and personal look at the historical elements of bourbon making as well as the elements of mass production. Tours of the Wild Turkey Distillery are FREE and are available Monday through Saturday from 9am to 3:30pm. The distillery gift shop offers everything from Wild Turkey key chains and apparel to decanters and of course, Wild Turkey Bourbon. 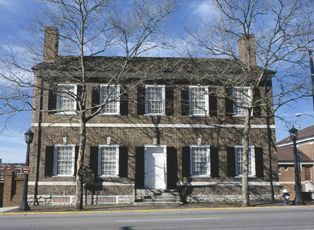 The Mary Todd Lincoln House was built in 1803 and is the childhood home of the former First Lady and wife of the sixteenth U.S. President, Abraham Lincoln. The home has been fully restored and holds many of Mary Todd Lincoln's personal belongings. The home museum opened in 1977 and interestingly enough, it was the first of its kind to honor a former First Lady. Mary Todd Lincoln House is open from March 15th through November 30th; Monday through Saturday from 10am to 3pm. Admission is $10 for Adults ages 13 and older and $5 for Children 6 to 12 years. Children under the age of 6 are free.